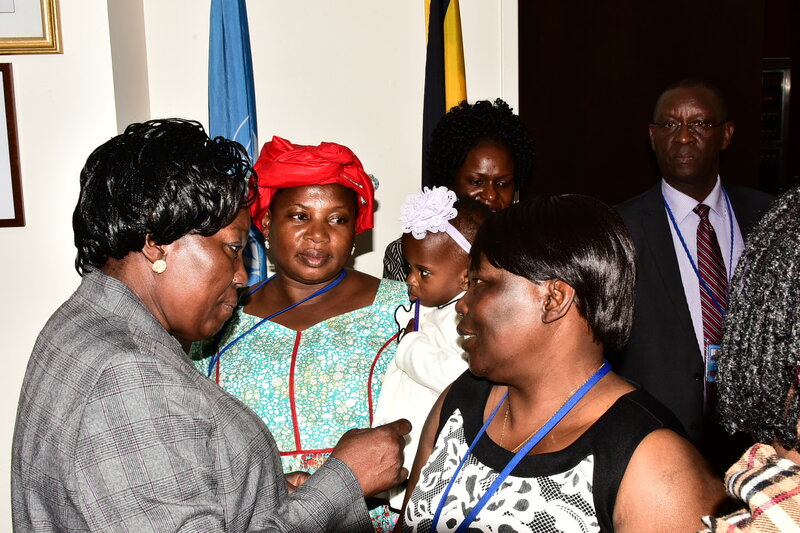 The Speaker of Parliament, Rebecca Kadaga, chatting with Zoe Bakoko Bakoro (Right), the former Minister of Gender, and other participants in New York at the 63rd UN Conference on the Status of Women. A civil society activist has urged government to value women’s domestic work such as cooking, cleaning, taking care of children, fetching fire wood and water as well as taking care of the elderly. She said that unpaid care and domestic work is central to the attainment of all the development goals set at national level and international level and therefore, there is need to redistribute and reduce the burden of unpaid care and domestic work since it’s something that benefits the community, nation and world. She was speaking hours ago in New York during the 63rd session of the Commission on the Status of Women. In her remarks at the event, the Speaker of Parliament, Rebecca Kadaga, said that it is important to draw attention and advocacy on the issue and have partners in the community to champion the cause.